During 7-9 August 2017, The Papuan Film Festival (FFP) took place at the old Cathedral Fertenten Sai complex in Merauke, in the Indonesian Province of West Papua. 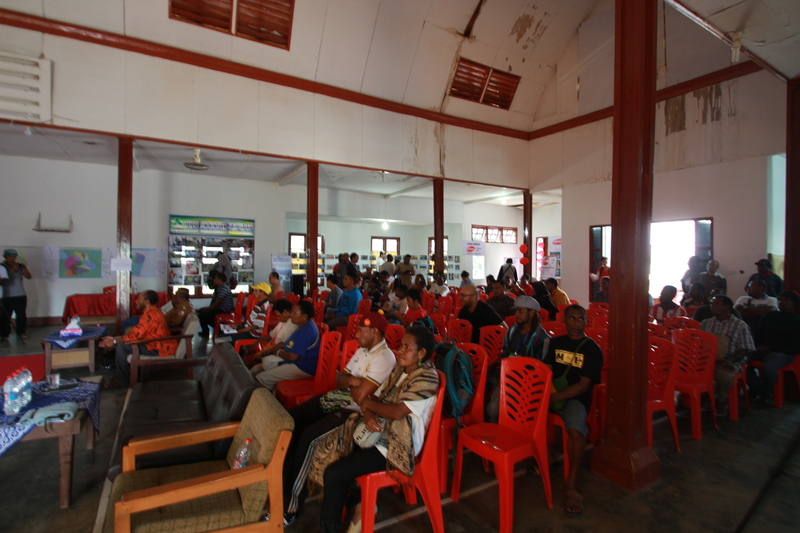 The event was organised by Papuan Voices, the Papuan Filmmakers Community in collaboration with EngageMedia. 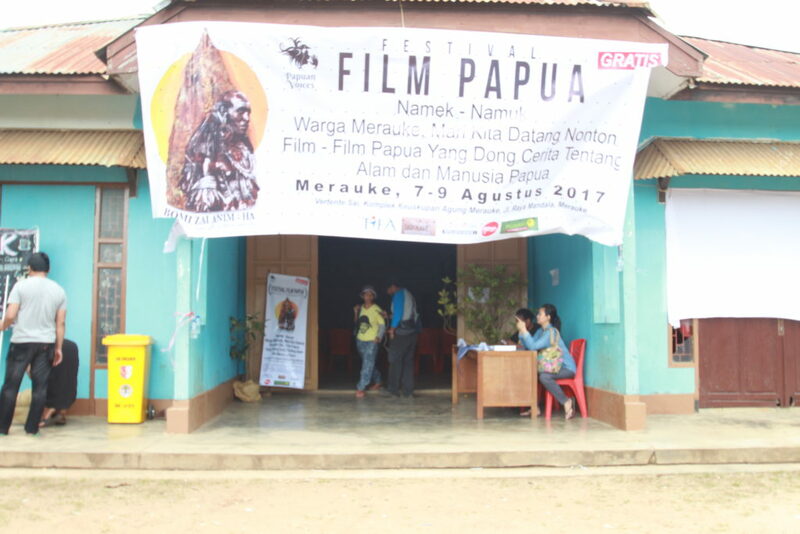 It was sponsored by Tifa Foundation, PT Jujur Bicara Papua, Media Development Association of Nusantara (PPMN) and SKP Archdiocese of Merauke. The theme for this festival was “Bomi Zai Anim-Ha”, which literally means house of true human. 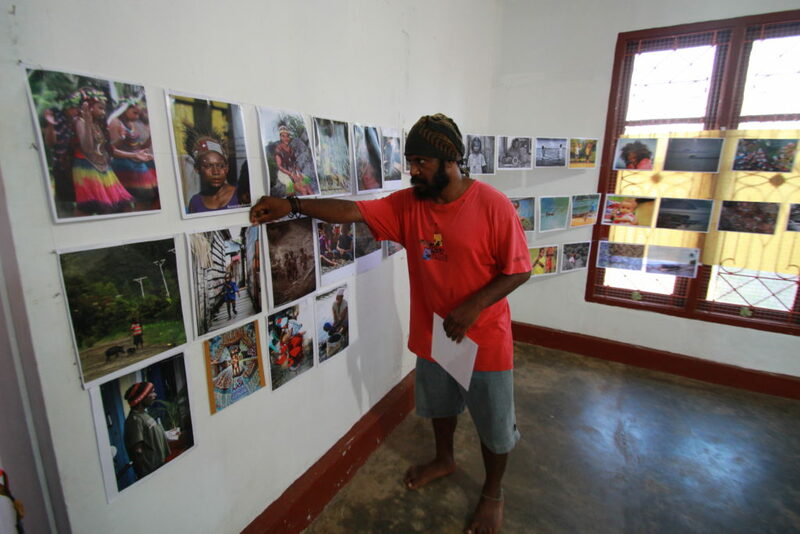 The idea was trying to revive the identity and collective memory of the Papuan indigenous people so that they have a strong relationship with nature and their Papuan homeland. 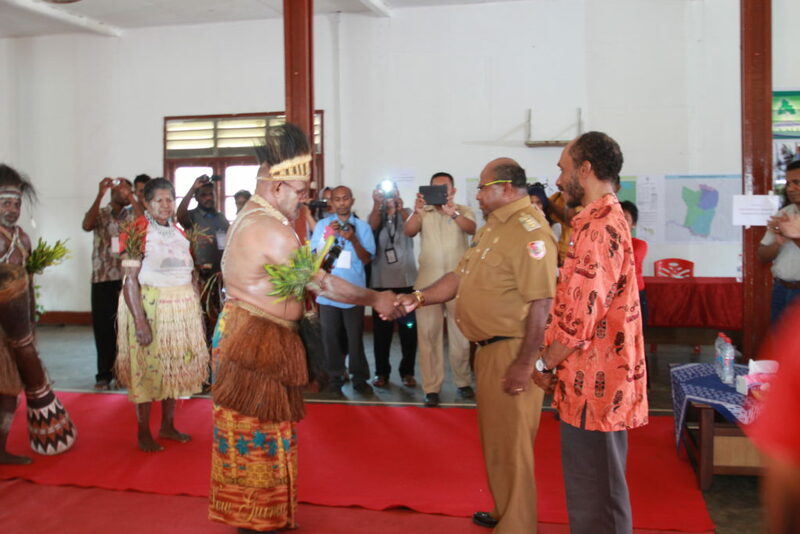 It was opened officially by the Regent of Merauke Frederikus Gebze along with other 2 representatives, Max Binur, Coordinator of Papuan Voices and John Wob, the secretary of Indigenous Council of Papua. 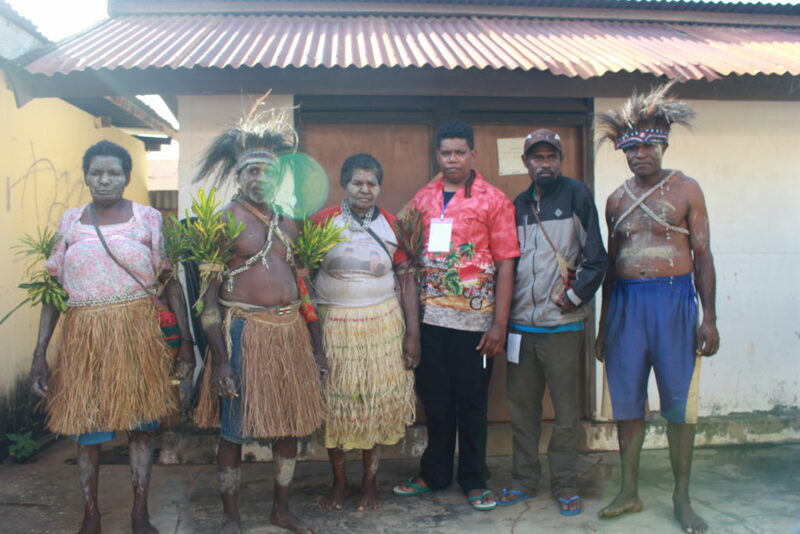 One of Engagemedia’s flagship project is Papuan Voices, funded by the Ford Foundation and organized in collaboration with Catholic Church groups in West Papua, Indonesia. Video training were imparted for a number of years to Papuans to “tell their own stories” using short videos. Other efforts included to empower them to understand their rights and figure out how to defend them. This form of “citizen journalism” is indispensable in places like Papua, where foreign journalists are barred from entering and domestic media fail to report on the actualities on the ground. 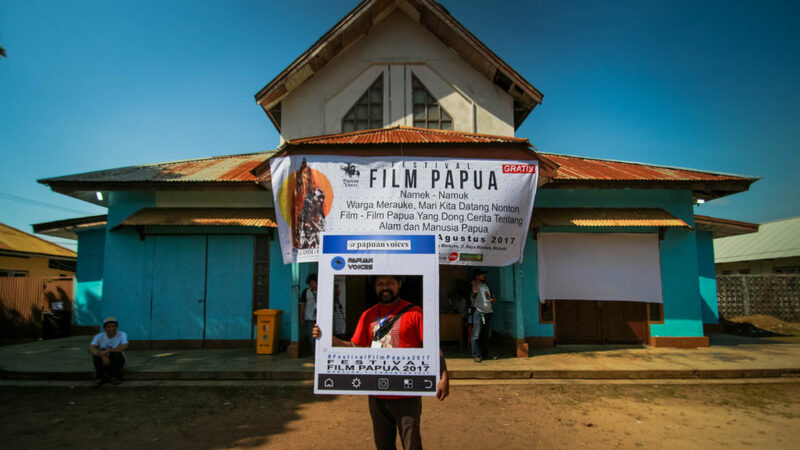 The Papuan Voices community in Merauke, Wamena, Jayapura, and Sorong and some other places got together and proposed this Film Festival and it has been their dream for quite some time. After producing a number of videos, they felt that sharing them was a way to move forward. PV then partnered with EngageMedia to find funding for this event. In Merauke PV also had strong support from some of the leaders of the Indigenous Council and leaders from the church. During the Festival, the organizers managed to screen more than 30 selected amateur films from their community and in addition, also dozens of special film of other filmmakers that have been chosen by the PV community and the organizers. 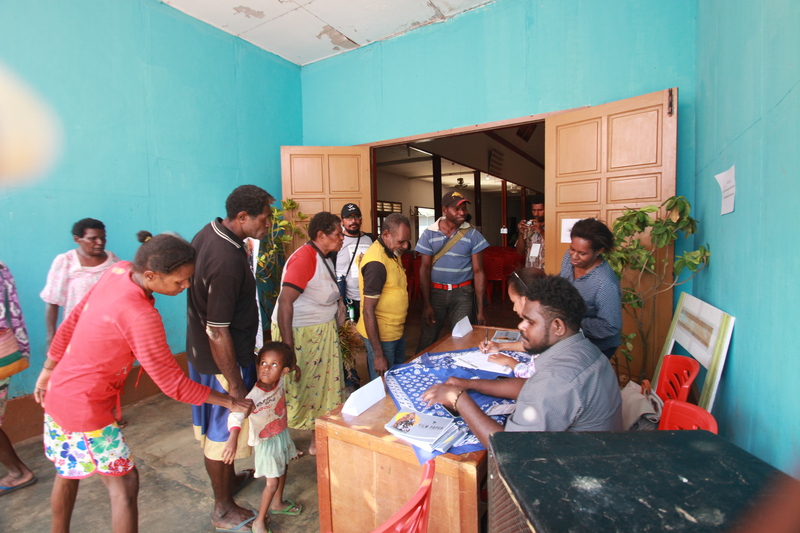 These films were about Papua social-politic issues which range from human rights violations, palm oil industries, land eviction, health, women and cultural issues. Papua is one of the poorest regions in Indonesia despite being rich in natural resources like gas, copper, and gold. The festival films, however, steered clear of the highly sensitive subject of separatism. The event schedule comprised of mostly screening of films and discussion on some films. Also, there were several spaces for some partner organizations that helped fund this event for example from PPMN, Change.org, and Sawit Watch, who used this opportunity to promote and share their amazing projects and works to the participants. 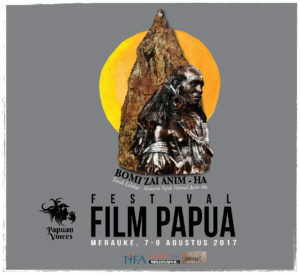 Many audiences were really happy to be a part of the festival because this is the first ever independent documentary film festival in Papua consisting of films from Papua and they were also very proud. The regent of Merauke asked the organizers whether this event can be replicated every year in Papua. What a great movement: congratulations to the people of Papua. The power and importance of story-telling can continue through this avenue, and reach a broader audience. May Papuan Voices boost the confidence of story-tellers of all ages and inspire the younger generations to play a part.